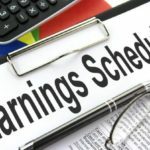 Cronos (CRON) to Report Q3 Earnings: What’s in the Offing? Cronos Group ( CRON – Free Report ) is a globally diversified and vertically integrated cannabis company. The company has footprint in four continents. Cronos operates two wholly-owned Canadian licensed producers regulated under Health Canada’s Access to Cannabis for Medical Purposes Regulations: Peace Naturals Project Inc., which was the first non-incumbent medical cannabis license granted by Health Canada, and Original BC Ltd., which is based in the Okanagan Valley, British Columbia. The company sells dried cannabis and cannabis oils through wholesale and direct-to-consumer channels under its medical cannabis brand, PEACE NATURALSTM. Cronos has multiple international production and distribution platforms, including in Germany, Poland, Israel and Australia. In October 2018, Canada became the first G7 country and the second country in the world to legalize cannabis sales for adult recreational use. This, in turn, should propel sales for Cronos and other companies like Tilray ( TLRY – Free Report ) . The company posted significant sales growth in the second quarter, driven by expansion in patient onboarding, increase in average sales price and continued strong growth in cannabis oil offering. We expect the momentum to continue in the third quarter as well.